Joanne Halbrecht, M.D. 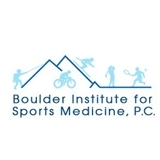 (Boulder) - Book Appointment Online! Patient assessment includes a detailed history and physical examination. X-rays are performed, if necessary. If an option, conservative treatment is always discussed first. This may include medication, physical therapy or the use of alternative medicine practitioners, whichever is best suited for the patient and their problem. Ultimately, the treatment decision is made by the patient after all options are discussed. If conservative treatment does not result in resolution of symptoms, surgical treatment is considered. We accept most commercial insurance plans but are not a medicaid provider. She was extremely efficient and knowledgeable. Everyone was extremely friendly. I felt like I was assisted in a prompt manner and nobody seemed to have an issue with the amount of work it took to diagnose all of my issues.